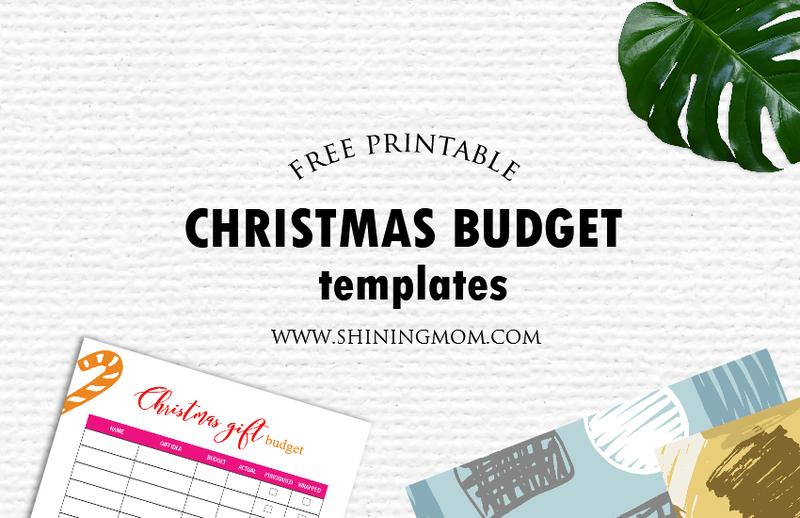 Christmastime is fast approaching, and if you’re looking for free printable Christmas budget forms to use to keep track of your finances, I am happy to announce that I am sharing five printable Christmas budgeting templates right now! 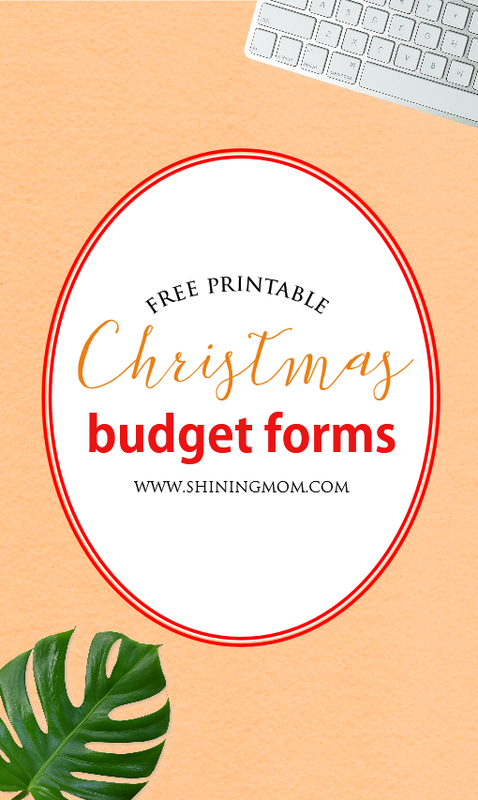 Get a grip on your holiday budget before the Christmas rush begins! Oh, hello, friends! 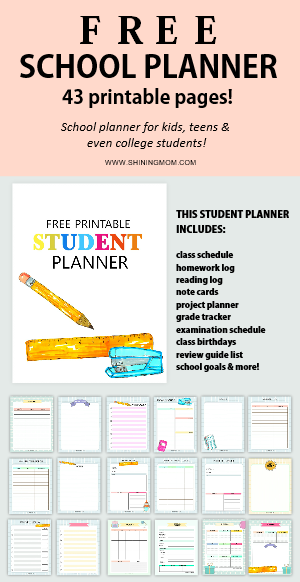 Welcome to the most favorite segment on Shining Mom, the Happy Freebie Monday! 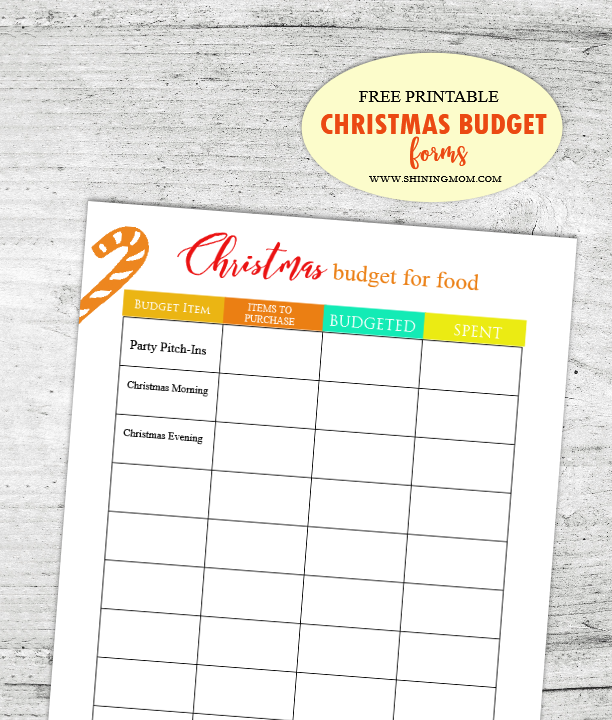 Let’s tackle your Christmas budget today! Stay on target! 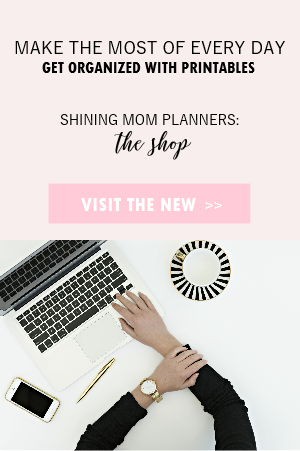 Plan your Christmas spending now so you will not go overboard! 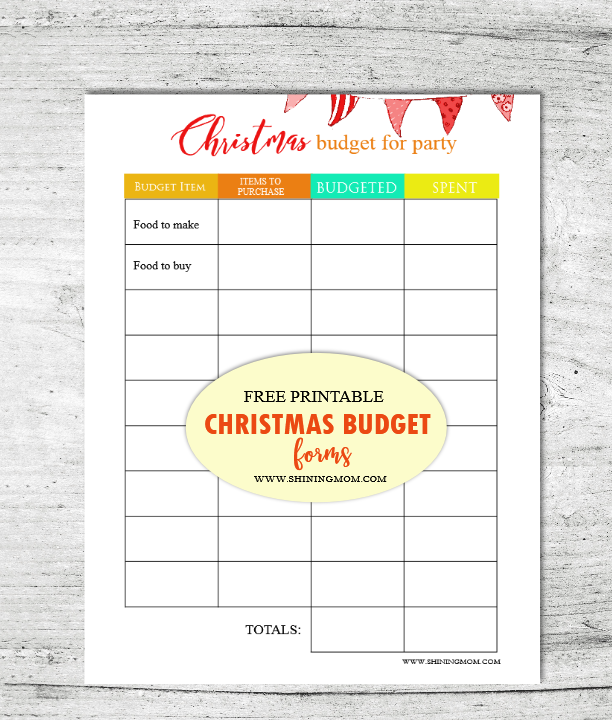 But before we begin, did you know that I’ve been rolling out Christmas printables since last week? 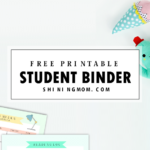 Currently, we’re on Day 5 of Shining Mom’s Free Christmas Printable series! 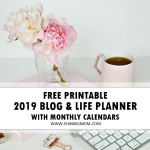 In case you missed the past releases, I have previously shared printable Christmas planners and gift tags (and I hope you’ll find time to catch them) and this time, let’s talk about Christmas budgeting. 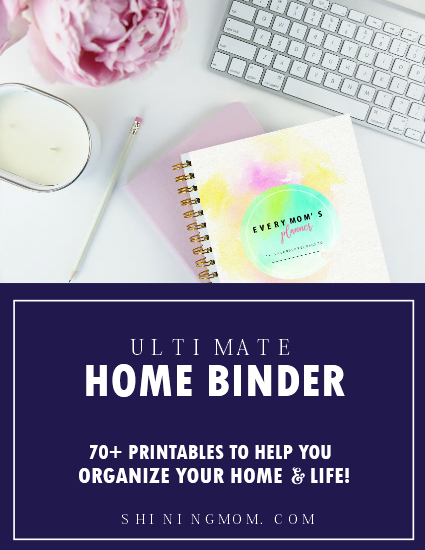 Have you started listing down? Not yet? No problem! You still have time for that… and the time is NOW. 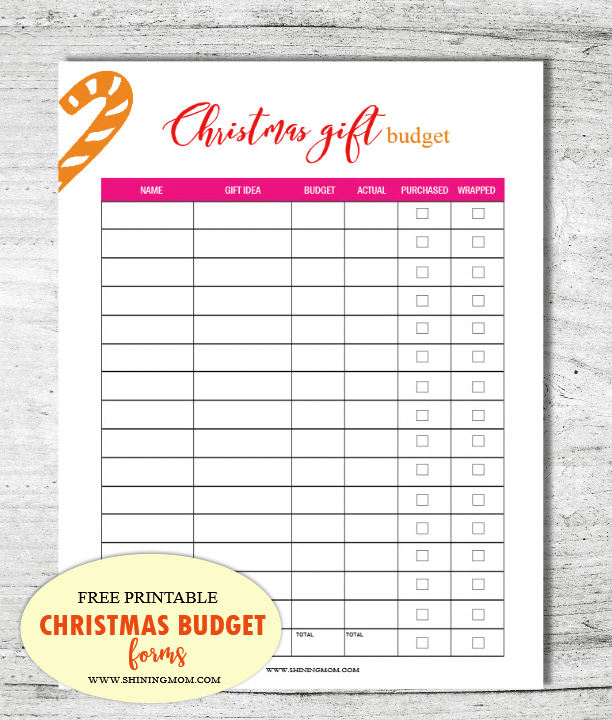 No worries, the free printable Christmas Budget forms that you’ll be getting today will help you do that! 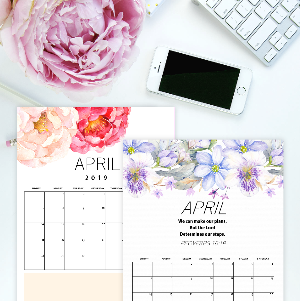 Time to set your budget for food, gifts, decor, parties and others! 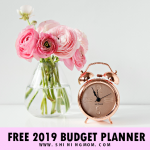 This simple page will help you to firmly decide on how much you’re willing to spend per category. Yup, it’s time ti spend less and save more! 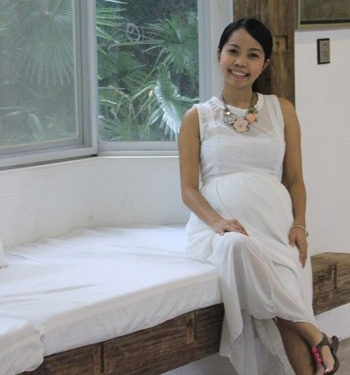 Hosting a party this Christmas? Sit down and fill out this page. 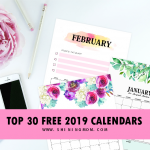 It will help you track your party spending! 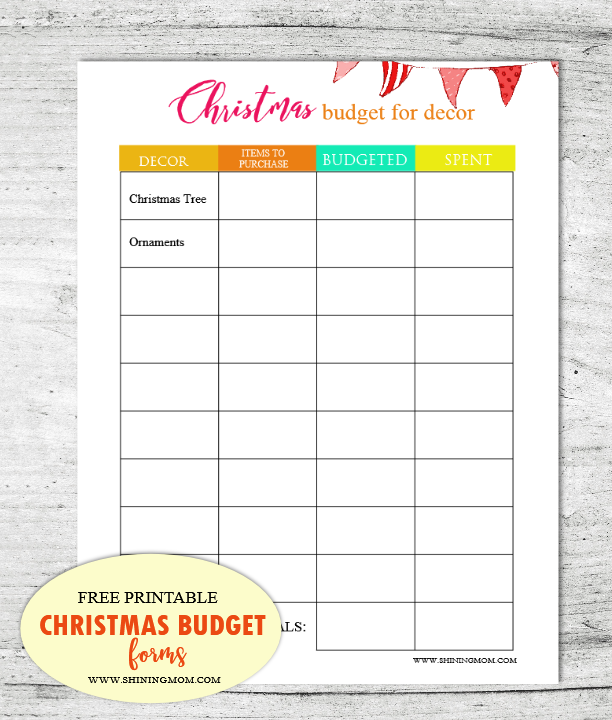 If you haven’t started you Christmas decor shopping yet, you may find this last page useful! So there. Five truly practical and functional forms for your holiday budgeting. 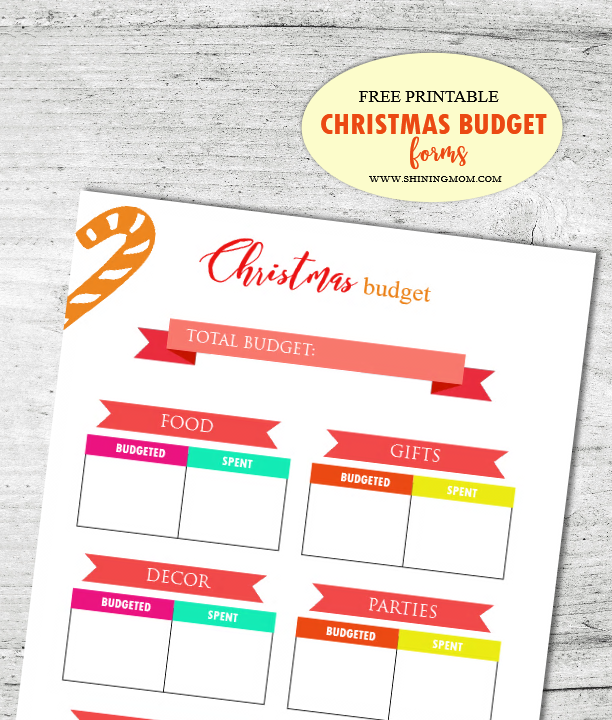 If you think these free printable Christmas budget templates can help you track your holiday spending, be sure to snag your PDF copy here. 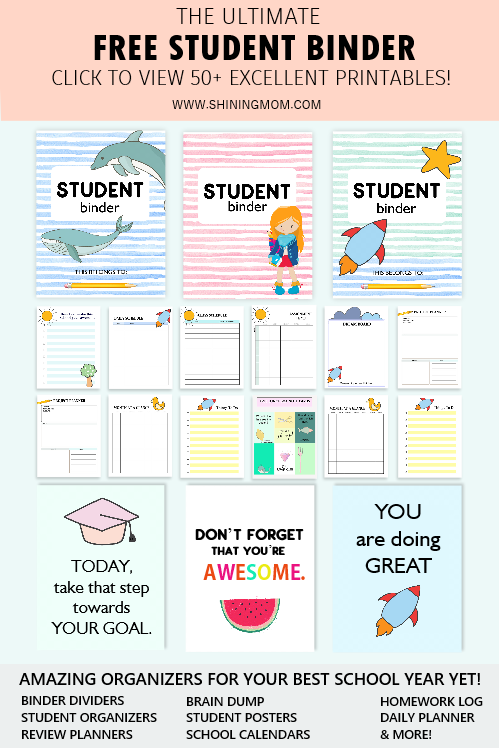 Please be reminded that these templates are designed to be printed in standard, letter-size paper! 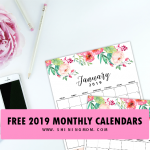 Lastly, do not forget to visit the index page of Shining Mom’s Twelve Days of Christmas Printable so you can catch all of the freebies I have for you. 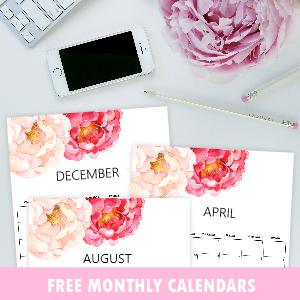 Moreover, be sure to get copies of my planners and calendars for next year, 2017! They’re all out now, waiting for you! Have a merry Christmas, friends!